French macaroons on their own are so delicate and delicious, so it's no surprise that wedding cake designers are using this pastry to decorate very glamorous confections. The pretty shape, the colors and the sweet taste all come together to make some of the most unique wedding cakes I've seen to date. 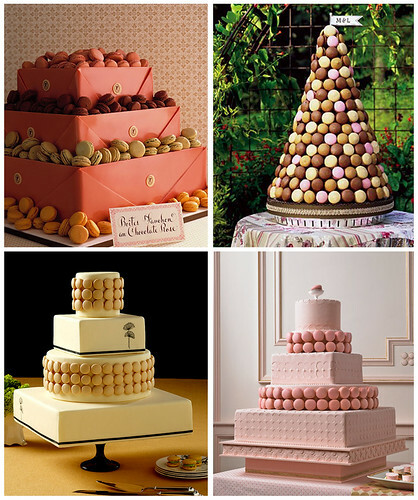 Would you consider using macaroons as the main design element when it comes to your wedding cake?